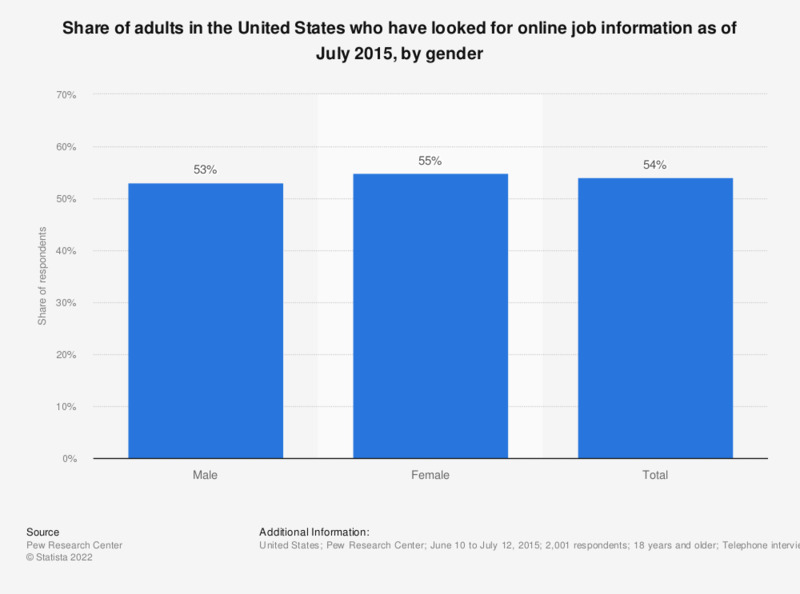 This statistic presents the share of adults in the United States who have looked for online job information as of July 2015, sorted by gender. During the survey period, it was found that 55 percent of women had searched for job information via the internet. What device do you use or would you be willing to use in order to look for jobs online? Do you use CV databases and online networks to look for job positions passively?